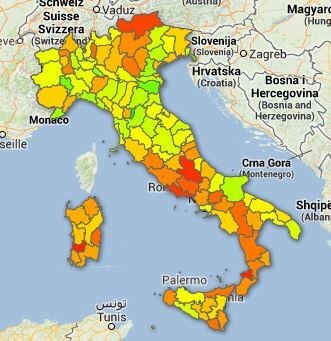 Dogs in Italy - a pet friendly map - Issn' Rüde! 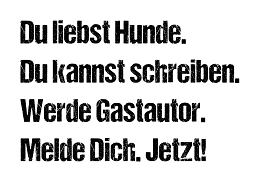 Issn’ Rüde! 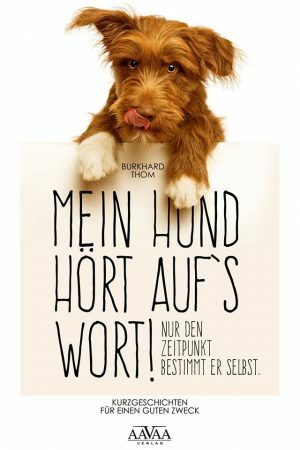 interessiert sich für alle Hunde und daher wagen wir heute den Blick über den Tellerrand – nach Hunden in der Schweiz und den Hundegesetzen in Dänemark schauen wir uns nun die Situation von Hunden in Italien an! 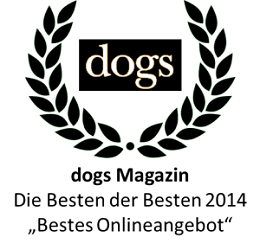 Ein Gastbeitrag von Sara Magi von der Gruppo JustDog.it. The summer is just beginning, and despite the economic crisis, there are many families who are preparing to go on vacation. In Italy there are millions of families, extended to non-human companions. According to the twenty-fifth report EURISPES, 55.6% of Italian households own a dog, while 49.7% have a cat. And for them it repeats the question of how to organize a peaceful holiday in the company of their faithful four-legged friend. The same question that we asked us three years ago, when we were -with some difficulty- organizing our per friendly holiday, we decided to create our portal, JustDog.it, to collect and organize all the informations needed to the conscious master on vacation. We have collected many informations, many friends have joined us in this adventure and this year we tried to analyze all of them in order to understand how difficult it is to organize a holiday with your animal friend in Italy in 2013. And not only for the Italian families, but even for all the stranger people who came to Italy every year, and would like to take with them their hairy friend. lately there is a minimum of attention by the legislature and local governments with proposals to create at least a beach for dogs in every coastal town and access to animals in public places by law. Personally, I do not like that the animal has to be accepted by the manager because compelled by law, I prefer that it is a cultural process that leads an increasingly spontaneous opening to the four-legged friends. Also because being in an environment where the animals are accepted by obligation, does not lead to a pleasant stay, either for humans or for quadrupeds. Fortunately, in Italy there are many places where our comrades are accepted with pleasure by the managers, and we have direct evidence every day, with their demands for census within our portal and reporting of new services designed to them. What do we need to organize pet-friendly holiday of our dreams? First of all a place to sleep that accepts animals that we carry with us. Then once on vacation is easy especially in the evening enjoy some nice local restaurant. And don’t you want to take your dog with you? Even for him is holiday, it’s better to not leave him alone in your room. And then once there, there may be need, like food, or the care of a veterinarian. As for pet stores and veterinarians, fortunately Italy is full of them, and we advise you to look at our website to find out what are the activities of this type are closer to your vacation spot, not to be caught off guard in case of necessity. By now our site is only in Italian, but Google Translator it’s a very good help to read our informations. Definitely there’s a not uniform distribution of the accommodation that accept animals, but we have to say that the numbers change depending on the type of structure being considered. 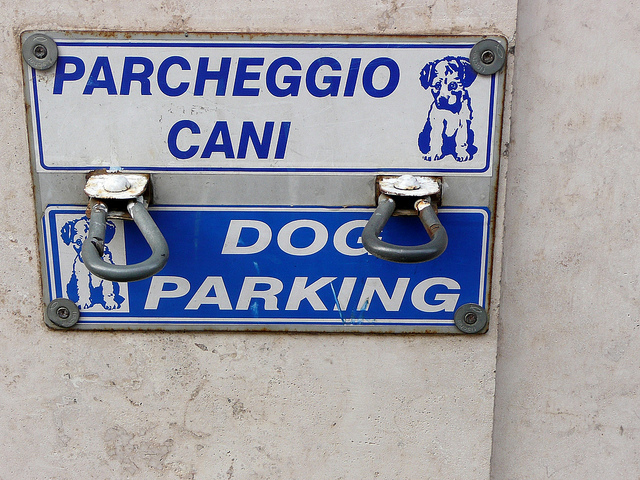 Each Italian province contains facilities that accept pets. 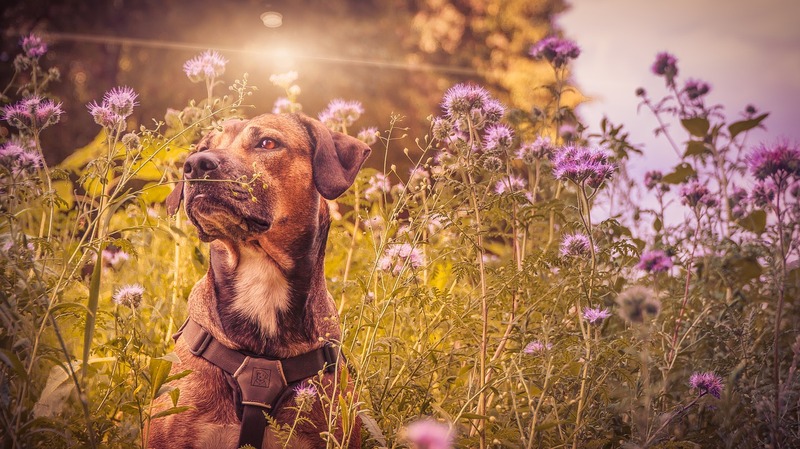 If we consider the sum of all the accommodations (not just those that we have considered in this article) there are over 9000 facilities throughout Italy where to find accommodation with pets. From this we infer, that it is not difficult to organize a pet friendly holiday, no need to leave your friend entrusted to friends or retired, just navigare our pages and find the holiday that you like best. And do not even have to accept limitations. 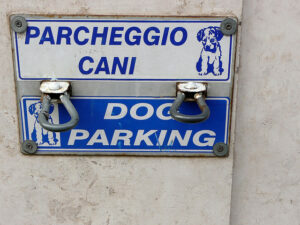 You want some examples, where during your vacations, your dog in Italy will be hosted gladly? Fonteverde , hot springs and wellness, a vacation of pure pleasure taking animals in tow. But it is so pet-friendly that there is also a thermal pool for dogs. Tana dei Lupi , a holiday in nature and with a beautiful pool where you can swim with your dog. Well, you can play in the water with him. Le Giare Agriclub , a farm with a private beach where dogs are allowed on the splendid sea of Calabria. And so you have no excuse to leave your pets at home. In our study we wanted to focus on receptivity, the biggest point for the vacation. For every type of accommodation the is a different kind of holiday: bed & breakfasts, farmhouses and hotels. And each of these categories gives us a lot of choice for our animals. There would also inns, cottages, motels, residences, camping sites, but these do not take into account due to the fact that we have not enough data to get a good statistic. We acquire many of our data going to search for the sites of the facilities, but if the sites do not exist, for us it is impossible to know whether the animals are accepted or not. However it is not a problem, the categories that we considered represent the majority of Italian accommodations. As you can see at the top of the rankings we have Prato, which is a very small province, which has not many hotels, but those few, almost in one in two, pets are allowed. At the other extreme we have the province of Medio Campidano in Sardinia. Seeing the same data visually, we can observe them better. Looking at the data in graphical form (red is worst, while green is top) we can see that the highest percentage of managers, who are more open to accept animals are on the Adriatic coast, in central Italy from Umbria up to the Po River, in central Sicily, and in Puglia. Instead we have less sensibility in Sardinia, in the far north and particularly in the province of Bolzano, and the Tyrrhenian coast from Tuscany down. If we try to look at the data in terms of the number of Pet Friendly facilities (putting on map absolute numbers rather than percentages), things change a little. In this way the data changes in part appearance. The province of Bolzano jumps to the top of the charts, and also the province of Rome, Salerno and the north west improve. This is because they are highly tourist areas and count a large number of facilities, and therefore having lower percentages, with the strength of numbers you can find a large number of hotels that accept pets. If in the previous graph we had less marked differences across Italy, here it is clear that central and southern Italy has far fewer facilities that accept pets, with a beautiful Sardinia, dream of many vacationers, bringing up the rear. Farm houses houses are a form of accommodation that has grown significantly in recent years. Also thanks to the generally lower prices compared to hotels and the type of holiday you closer to nature. In Italy there are about 15,000 farm houses. From the point of view of rural tourism the south takes a little revenge going to occupy 3 of the top 5 places in the ranking of managers with more sensitivity in accepting animals. At the other extreme we have instead 8 provinces without pet friendly farm house arranged between north and south. I want to focus on one aspect. It might seem strange that farm houses have percentages of acceptance of animals lower than hotels. The strangeness is due to the fact that it is easy to find animals in the countryside. And then because there are less? It may be that they are not less, but simply that we do not know, because the managers forget to report this issue through their web sites. So in many cases it is a communication problem, minor problem in hotels, generally larger structures with a more managerial. We have the confirmation from the reports that we receive via email, where we discover that the animals are accepted, although it is not shown on the web sites. Here, too, we try to put the data on the map to see them in an optimal manner. Even for the farm houses, we have greater sensitivity of the managers on the Adriatic coast, with a particular concentration in Emilia Romagna, Marche, Umbria, Puglia and part of Calabria and Sicily. From the negative point of view always stand out in Sardinia and the extreme northern Italy. It affects the province of Bolzano, with nearly a thousand farm houses and only 6 accepting pets. If we go on absolute numbers, the center of Italy consisted of Tuscany, Umbria and Marche is the master, to which we can add the Southern Piedmont, the province of Verona and the Salento. Tail here is Sardinia. At the bottom even the far north of Italy, Abruzzo, Lazio region, most of the southern Campania and Sicily. Finally, we see the situation of Bed and Breakfast. The category is narrower than those taken into account, approximately 12,000 facilities throughout Italy. In this case the top of the table we have two provinces of Piedmont as we like bringing up the rear of Lodi and of Isernia. There are two aspects to note. The extremes of this ranking are dominated by provinces with low numbers of bed & breakfast. And in absolute numbers there are more b&b that allow animals than farm houses. We also see here the data on the map. In this view we can see that the highest percentages of pet friendly B&B are on the border between Piedmont and Lombardy, in part of Tuscany and Marche and most of Sicily. Fortunately, at least we do not have the beautiful Sardinia to the bottom of the rankings, instead occupied by Lazio, Veneto, Alto Adige and much of the Piedmont. In terms of absolute numbers, the ranking changes and are at the top, the province of Rome, those of Perugia, Siena and Florence, Bari and Lecce in Apulia, most of Sicily and north of the coastal provinces of the Veneto. Instead, in the bottom of the table we have the southern Lazio, the southern Apennines, Calabria and central large part of Lombardy. Stands out in a negative Milan, with the worst value among all the Italian provinces containing large cities. 50% of the family has a pet, according to our data a much lower percentage of Italian accommodation accepts pets. 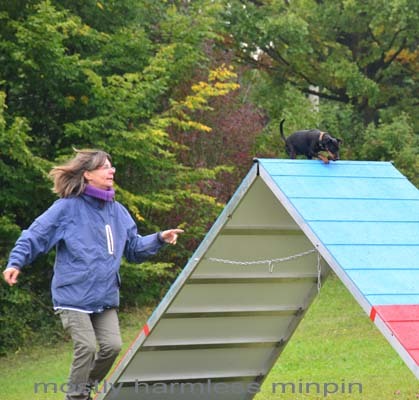 Why miss this large chunk of customers (often willing to spend a little more money to take their own four-legged friend with them)? Think about it! 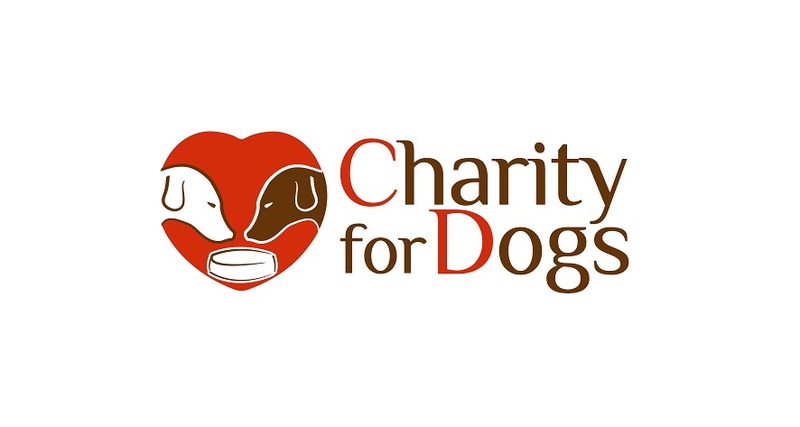 Was ist Charity for Dogs?